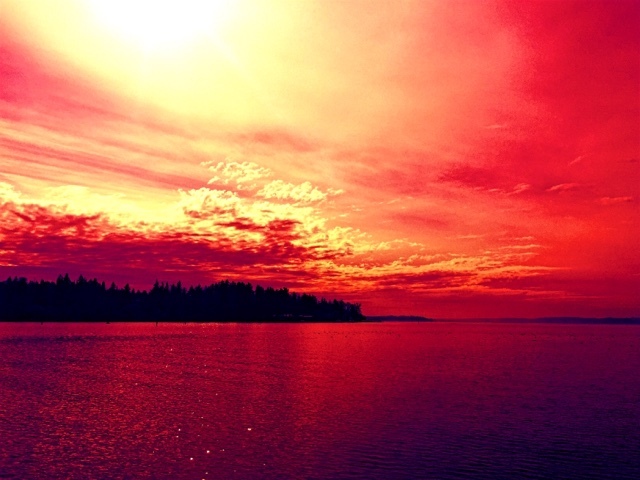 The sea is ablaze with a crimson fire. The distant tree line burnt to coal. An orb of combustion admires overhead.